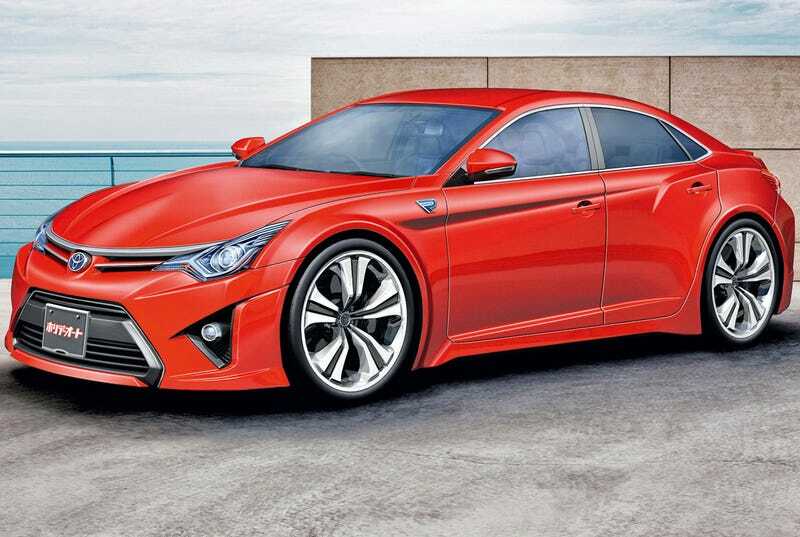 Could the Toyota GT86 Sedan Concept be a BMW 3-Series competitor? If you’re a fan of the current Toyota GT86 — Subaru BRZ and Scion FRS as it is in the states, you’ve undoubtedly heard of sedan rumors. Now, just a hours away from the Dubai International Motor Show, rumors seemed to have peaked that Toyota will be revealing the GT86 Sedan Concept for all of the world to see. According to an inside source, the GT86 sedan has been given the green light. The go-ahead. The — you get it. When I hear the rumors of another sedan being added to Toyota’s already dense line-up the only question the world should be asking is “WHY?”. Toyota already has the Avalon, Camry, Matrix and the Corolla. The latter of which has just been unseated as the best selling car in it’s class by the Honda Civic. If the Honda is doing something right with the Civic, perhaps Toyota should take notice and beat them at their own game. Is Toyota planning a Civic Si fighter? No. If any of the rumor is true, the GT86 Sedan would use the same GT86 Coupe chassis, only lengthened 100mm for increased rear leg room. Perhaps they add in some new Hybrid R powertrain. We’ve also heard of KERS technology possibly finding it’s way in the mix. Turn up the volume, and watch this insane run up Pikes Peak in BAD weather!